On January 31st there was a super Moon lunar eclipse. This was called a super blood Moon because the full moon takes on a reddish tone when it enters the Earth's shadow and appears blood coloured. The eclipse was widely observed in the USA and Russia but here in the UK we did even get a glimpse of the eclipse. The next one will not be for another 150 years!! 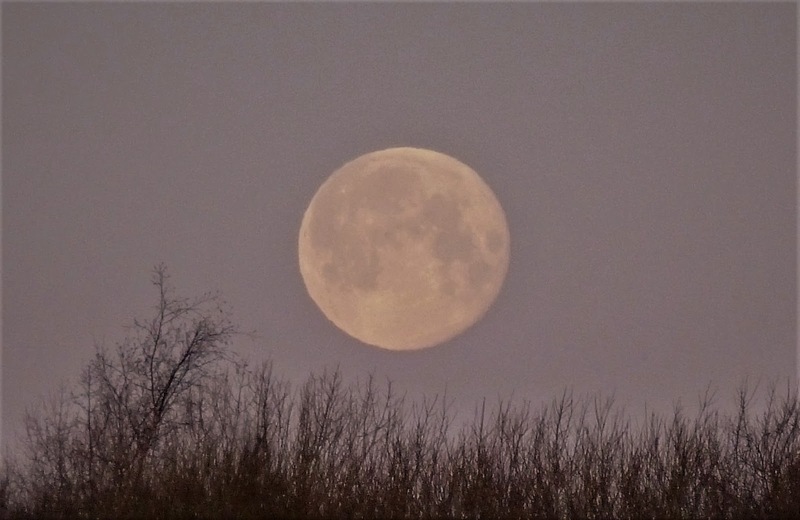 However, there was a perfectly clear sky and we did get to see the uneclipsed super Moon which was also called a Blue Moon as there were two super Moons in January. In the Tudor period the phrase once in a blue Moon implied something very rare or absurd. I took the photo below in Fakenham, Norfolk. The Moon was not really blue at all, its just a figure of speech, but it was very spectacular all the same. Shakespeare mentions a lunar eclipse in Macbeth in Act IV, Scene 1 when one of the weird sisters (witches) says "Gall of goat and slips of yew silvered in the moon's eclipse, nose of Turk and Tartar's lips". The potion would have been understood by the audience to be a powerful one because of the influence of the eclipse. Also in Antony and Cleopatra Act III, Scene 13, Cleopatra says "Alack our Terrine Moon, it is now eclipsed and portends the fall of Antony". In the modern age science has largely replaced superstition and we can enjoy such wonderful natural phenomena without fear of impending doom! !